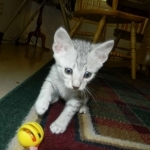 This precious silver Egyptian Mau beauty has found her forever home. 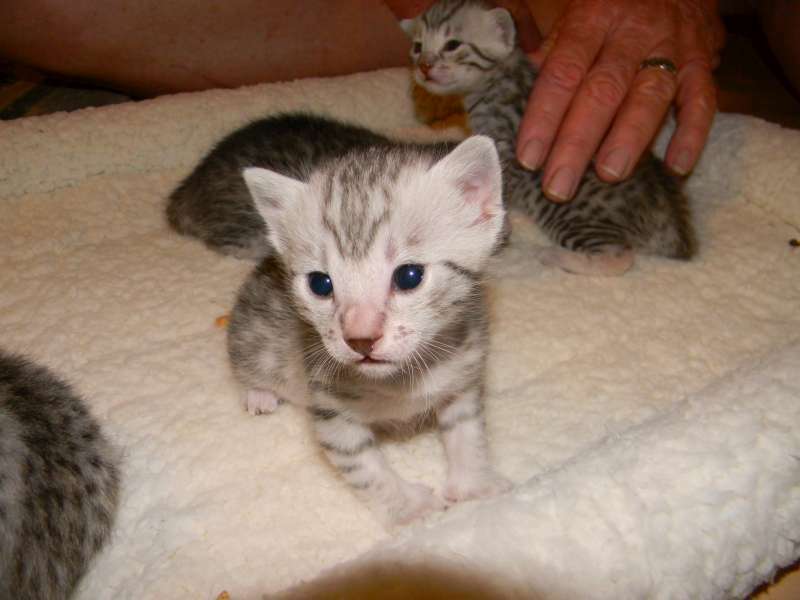 She will be going to live with Karen and sons in Ohio. 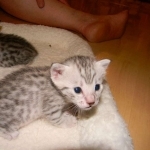 This girl has beautiful contrast and is sure to be a fabulously spotted adult. 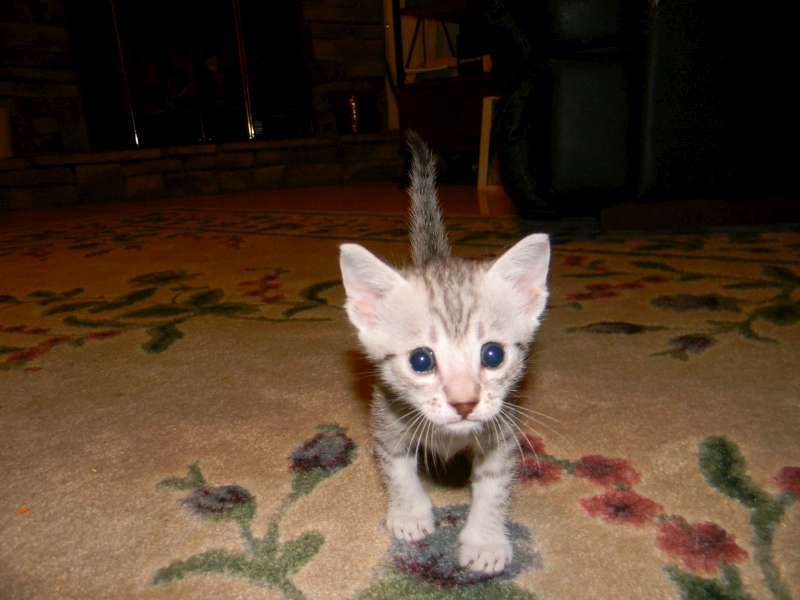 Little Margo, silver Egyptian Mau female, is just too cute. Simply irresistible! 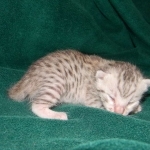 Little Margo, Egyptian Mau Silver female, is a joy to watch. 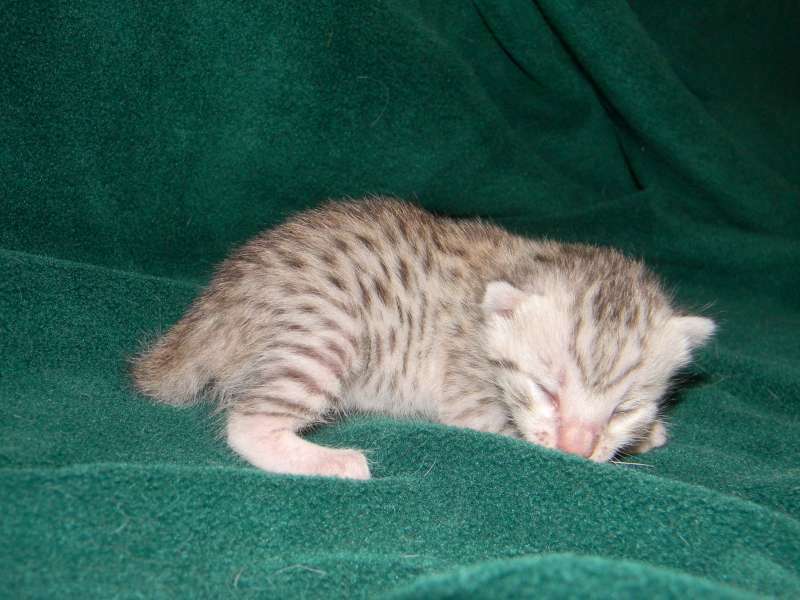 Shown here at 10 days the beautiful silver Egyptian Mau female will soon open her eyes. 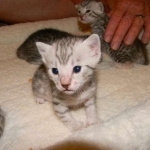 You have got to love this little Mau face at just under 3 weeks old. 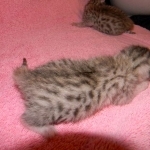 On the move now, Margo, Silver Egyptian Mau female is growing fast. 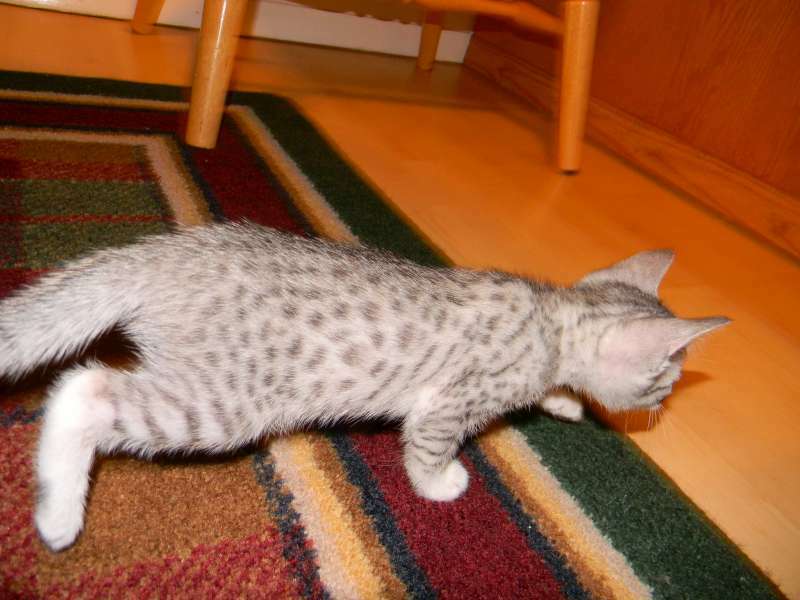 Margo says Catch me if you can! 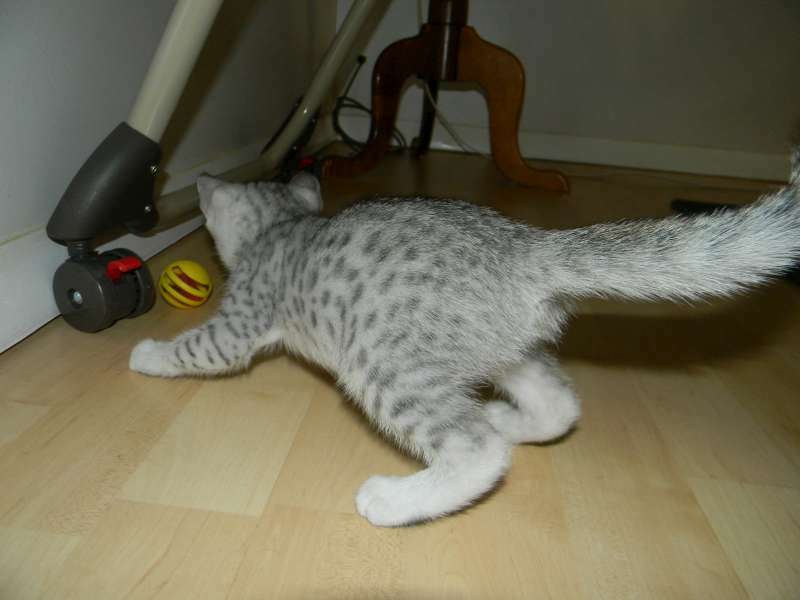 as she run back and forth under the dining room table. 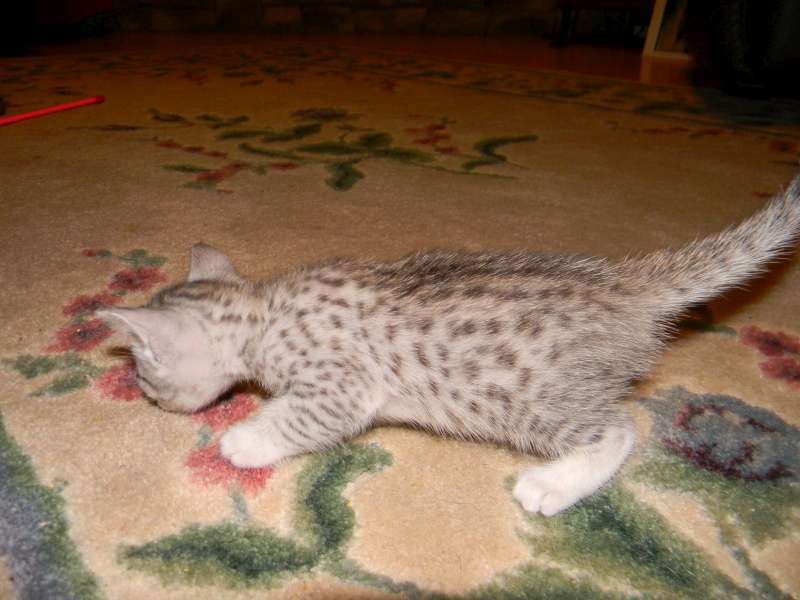 It is so difficult to get a picture of 6 week old silver Egyptian Mau Margo on the run! 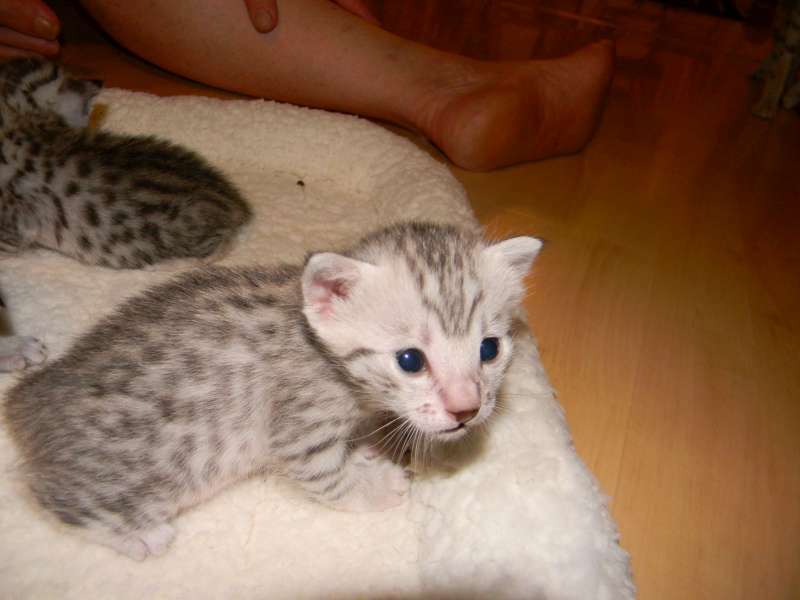 She has such nice spots. 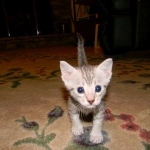 Can't slow this kitten down with a dumb old camera! 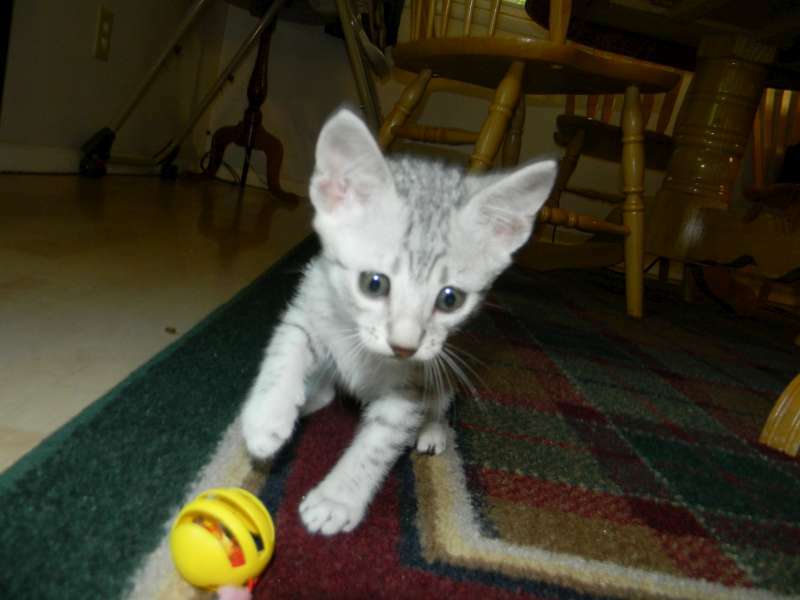 Margo is fixed on this ball. 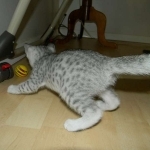 Margo, Silver Egyptian Mau female has discovered toys. She is full of play!